Find New Flooring for Your Sammamish Home Today! If you are in the Sammamish area and are looking to refresh your floors, we want to help! A lot of time and effort goes into deciding which kind of flooring to install, and you want floors that will stand up to daily use but will look nice and fit your style. Finding a hardworking, durable floor that is also aesthetically pleasing can seem difficult, but it doesn't have to be. Our flooring experts have years of experience and are ready to help you through the process. Whether you decide on an elegant and modern tile flooring or rich, deep hardwood, Carpet to Go can install and maintain the flooring in every part of your Sammamish home at a competitive price. Tile is one of the most durable and low-cost options available. Tile floors are easy to care for and have a long lifespan, making them of fantastic value for anyone with pets or children. You can purchase tile in a variety of shapes, textures, patterns, colors and sizes, making it appealing to any homeowner. Whatever your style, consider the benefits of tile flooring. Hardwood flooring gives a room a sophisticated, cozy feeling. Paired with the right furniture and accessories, hardwood can look perfect in an office, a bedroom, or a family living room. Wood naturally enhances and adds to the warmth of a room in a way that no other flooring can. Hardwood floors also increase the value of your home and is durable and versatile. Did you know that having carpet was once a sign of royalty or nobility? Thanks to modern technology, however, anyone can have carpet in their home. Carpet gives warmth and coziness to otherwise cold floors – perfect for the chilly and wet winters of the Pacific Northwest! Carpet flooring may be a higher investment upfront, but it will help you reduce your utility bills. Also, carpet is quite durable when cared for properly, making it a good investment. Vinyl is making a comeback as a choice for homeowners. Thanks to technological advances, vinyl can be made to resemble almost any look, including hardwood or tile, giving homeowners the same elegant look for a fraction of the cost. In addition to being cheaper, vinyl is also much easier to maintain than tile or hardwood flooring. Vinyl is not prone to damage from liquid like hardwood, or stains and dirt like carpet, and it only needs a quick mop or wipe to look as good as new. Laminate floors are made by fusing multi-layered materials through a laminating process, creating a synthetic flooring that can mimic hardwood, stone or tile. It used to be that laminate floors were lower quality, but technology has advanced, and now laminate flooring is of higher quality and is available in many beautiful styles! Area rugs are a great addition to a home, providing flexibility for your style and protection for the flooring underneath them. They can be found at a variety of prices in virtually any color or style. Because they are moveable, you are not making a permanent alteration to your home. They can be replaced or even just moved around within the room to give a different look! 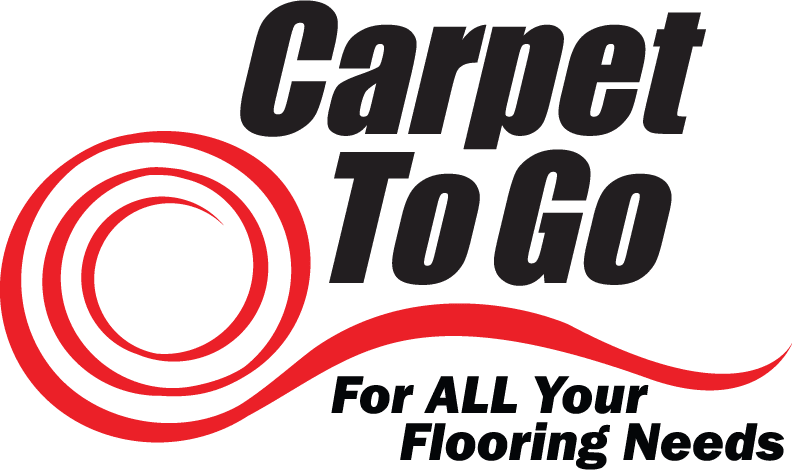 Carpet to Go offers a wide array of styles and options for unique and beautiful flooring for your home. We have a team of professional flooring experts ready to help you find the perfect fit for your Sammamish home. We are ready to answer questions about durability, cost and style. Call us today to find out more! Contact us using our online form or by calling us at 206.382.1253 today!